Our most unique flavor profile to date, a hint of tequila is the backdrop to sweet tangy prickly pear (cactus) fruit, which is balanced against the spiciness of the brown mustard. It dances on your tongue, and makes a fascinating ingredient for sauces, salads, marinades and dips. Try it basted on grilled chicken, or use in potato or pasta salad for a amazing new taste sensation. If you have not had prickly pear fruit before, it comes from a cactus. Some describe the fruit as tasting somewhere between raspberries and watermelons, with the tang of kiwi. We will just say it is bright, vibrant and a welcome new ingredient for the culinary kitchen. While our mustard blends can be used in traditional ways, such as on sandwiches or as dips with pretzels, we want you to also think in terms of using them as ingredients in great cooking. 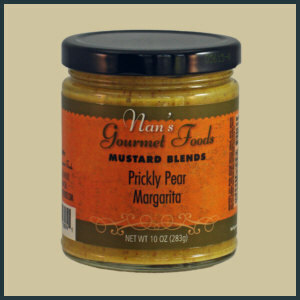 Use our Prickly Pear as a marinade or sauce for grilled chicken, fish or even steak. Consider this in mustard cream sauces with a fruity kick. How about with eggs, like omelets or in deviled eggs for something special. Lastly, whisk some of our Prickly Pear Margarita Mustard with some melted butter, and use as a sauce over steamed or grilled veggies, like asparagus. 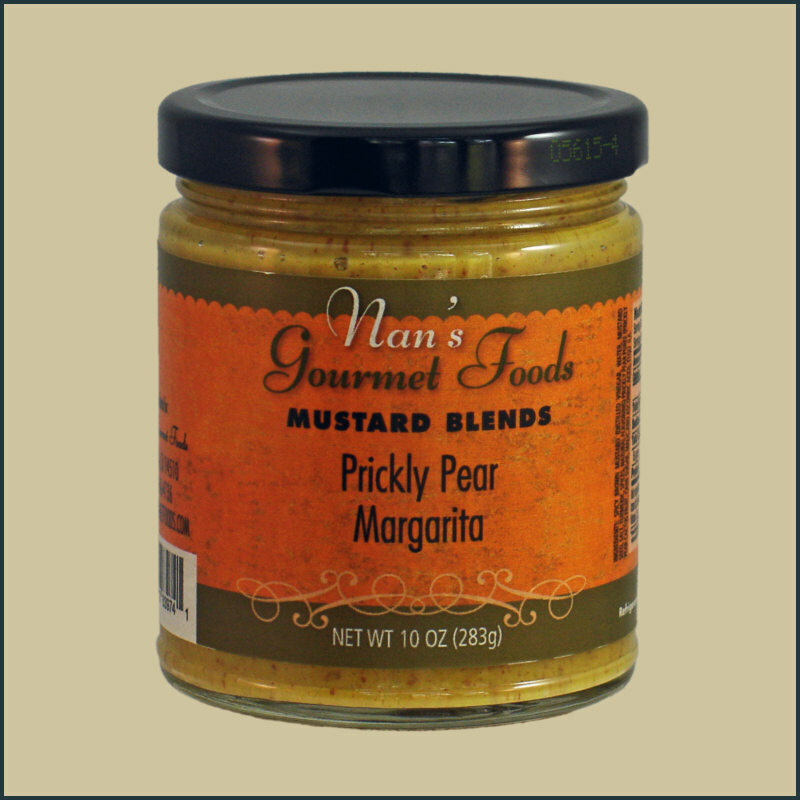 LOVE your mustard, especially the Prickly Pear! 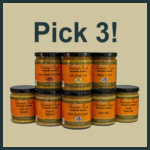 Mustard Blends - You Choose 3! Can't decide on just one? Then why not pick three? And just because we are in a good mood, we will even provide them to you at a great price! Click on 'More Info' to make your three choices.